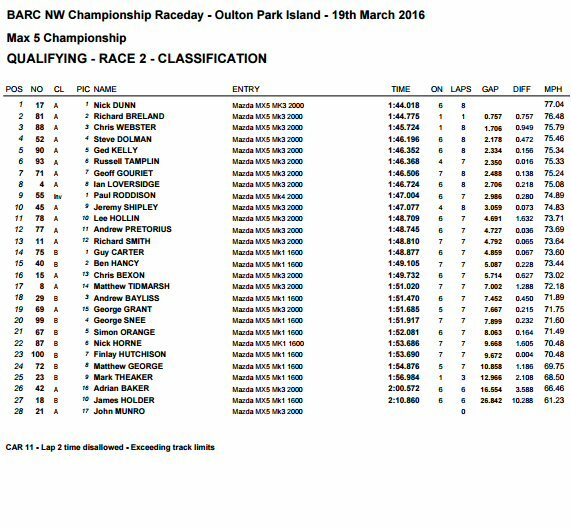 Oulton Park March 19th We entered the mk4 in the invitational class, as it is new an under development, we obtained approval from all competitors that we would start the race from the pit lane once everyone had got off the line, giving us something to chase. Qualifying was first though, with a full grid of cars and a couple of yellow flags it was always going to be difficult for everyone to get a quick time in, we managed to get her up to 9th, signs were good and she felt nimble. 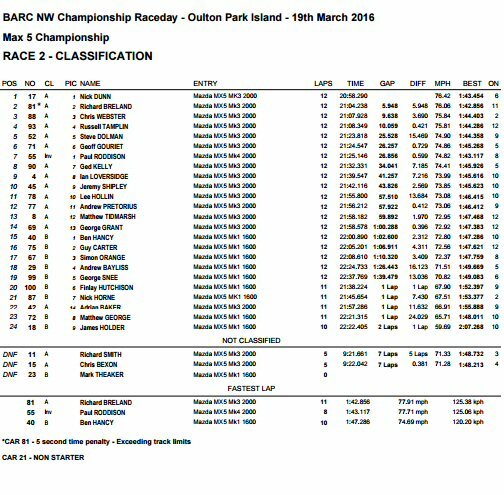 Race1: We started from the pit lane, this gave us space to make progress, as always there is first lap mayhem, one or two spinners off on to the grass, tyre smoke and all that good stuff, we ended up 7th with a really decent lap time to boot of 1.43.117 = 3rd fastest. Race 2: Again from the pit lane, but this time after race 1 antics, the grid got away cleanly and we pressed onto chase the pack. 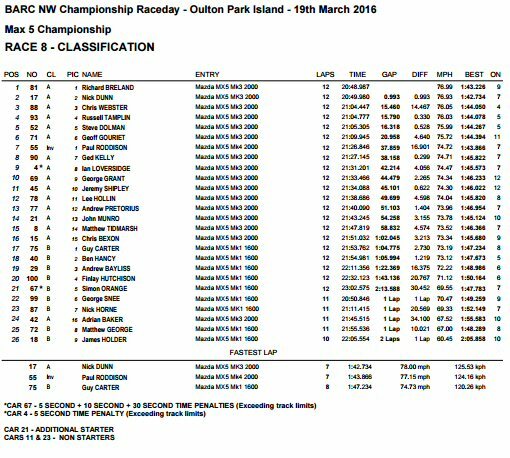 Similar to race 1, we ended up 7th with another really decent lap time of 1.43.886 = 3rd fastest. Early days for the mk4, but signs are very good . 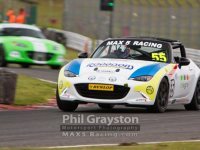 Website designed and built by Motorsport web design.